Lance Corporal Siddhanta Kunwar and Lieutenant Edward Drummond-Baxter began their lives worlds apart, but they were forever bonded through the Brigade of Gurkhas. In 2012, the pair from 1 Royal Gurkha Rifles (RGR) were stationed at Prrang checkpoint in the notorious Helmand Province. 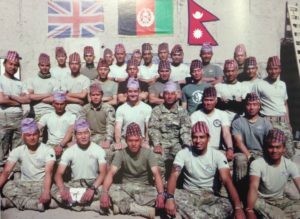 Though the period was busy and at times dangerous, their platoon would occasionally find time between patrols to relax and even celebrate Dashain together. 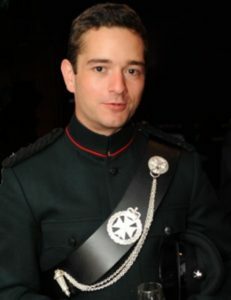 Siddhanta had served on several tours in Afghanistan as well as Bosnia. He was known as an outstanding soldier and a ‘true Gurkha’. Ed was a promising young officer who was devoted to his duty and the men under his command. On 31st October, while conducting a Shura meeting inside the checkpoint, they were betrayed and murdered by a man claiming to be a member of the Afghan police. Their loss was felt around the world, especially by their family, friends and colleagues. Now, those closest to Ed and Siddhanta are determined to leave a legacy for them in Nepal, by helping to fund the rebuild of an earthquake devastated school. Shree Shikha Secondary School, located in Myagdi District near the famous Pun Hill, was badly damaged in April 2015. The classrooms were left unsafe to use. Temporary shelters were put up but these let in the cold and damp. They are not an effective place to learn and children’s grades have suffered as a result. 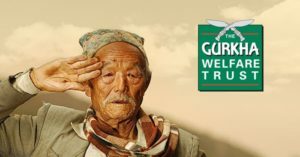 The community is desperate for the Gurkha Welfare Trust’s (GWT) support. GWT propose to rebuild and refurnish the school with earthquake resistant classrooms where children have a safe space to learn. 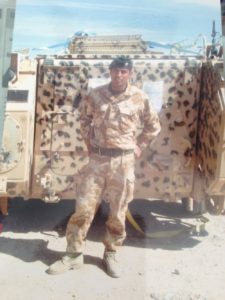 GWT are honoured to be working on this project in memory of two dedicated soldiers who made the ultimate sacrifice. Please visit www.justgiving.com/EdandSiddhanta to help us commemorate them by giving a better future to children in Nepal. There is also more information on the project website.